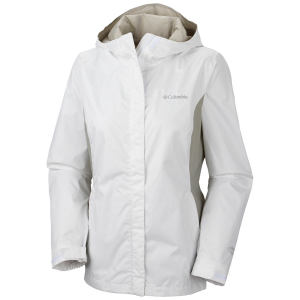 Inspired by heritage sailing jackets, the women's Patagonia Cloud Country jacket is made with a fully seam-taped, 3-layer H2No(R) Performance Standard shell. 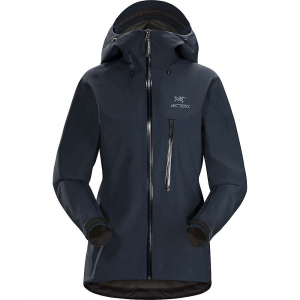 Inspired by heritage sailing jackets and made with a fully seam-taped, 3-layer H2No(R) Performance Standard shell. 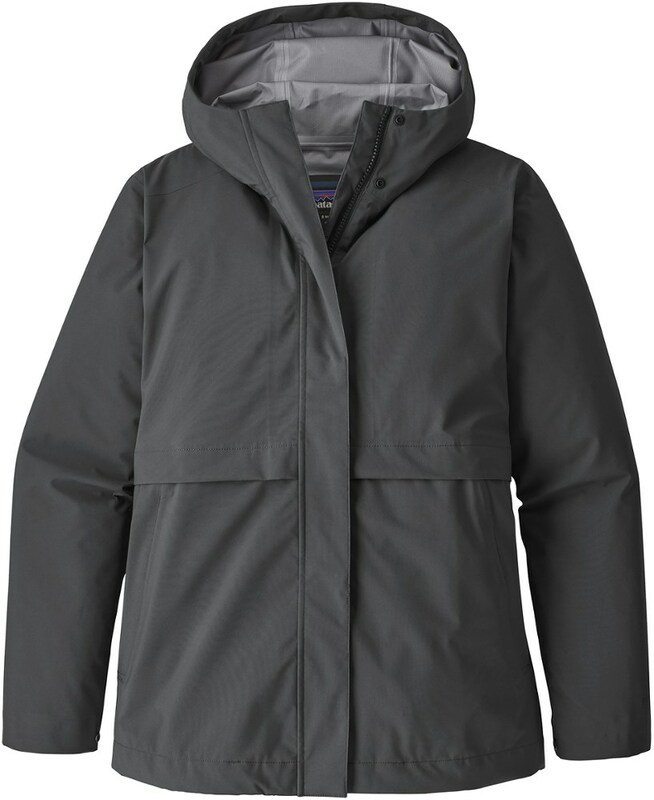 The 100% recycled polyester stretch plain weave with a tricot backer provides protection from the elements while allowing freedom of movement. 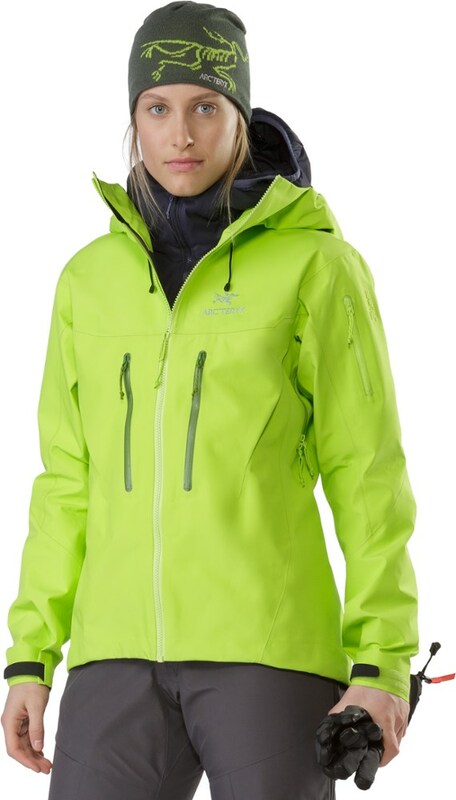 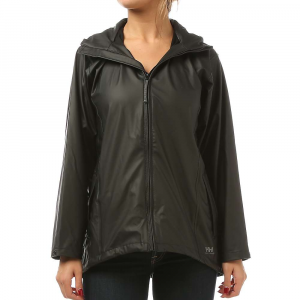 The boxy silhouette is hip length with drawcord, a center-front Vislon(R) zipper between placket and adjustable hood. 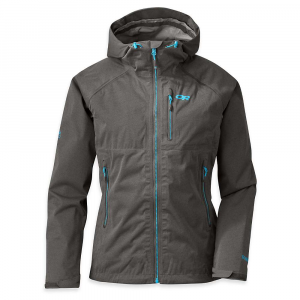 Wind-flap and adjustable sleeves secure with snaps to keep the breeze and spray out. 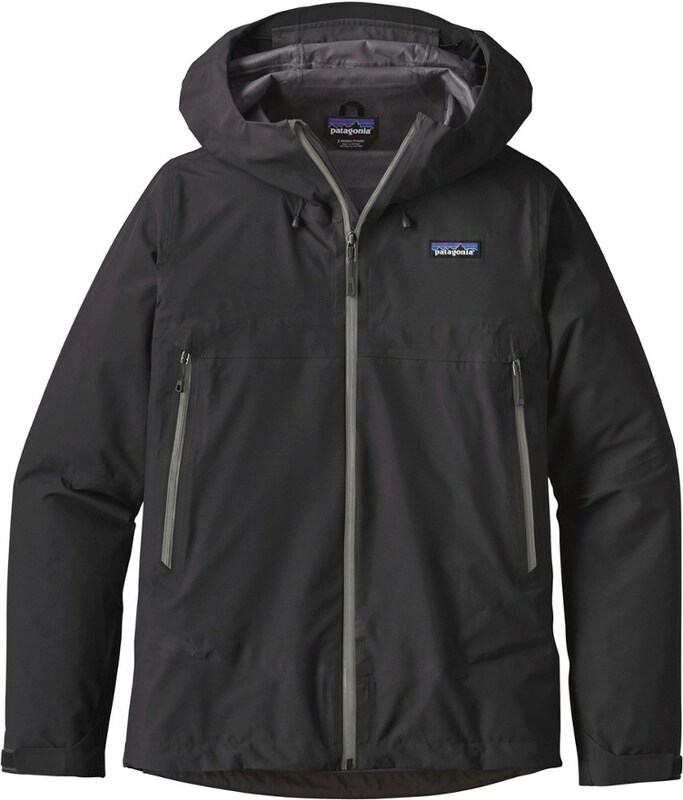 Two zippered front pockets secure during rough rides or seas.